Above: The cruise terminal in Sydney Nova Scotia. 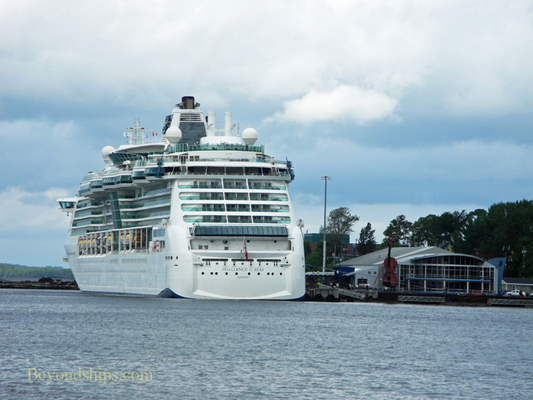 Above: Brilliance of the Seas at the Sydney cruise ship terminal. The cruise season in Sydney runs from early May through October. 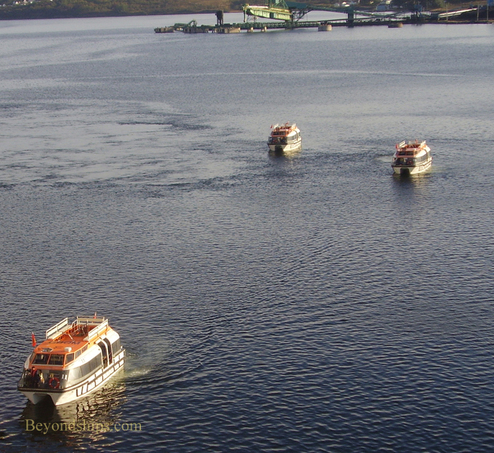 Of course, the calls tend to be concentrated in the autumn when the cruise lines do their fall foliage cruises. 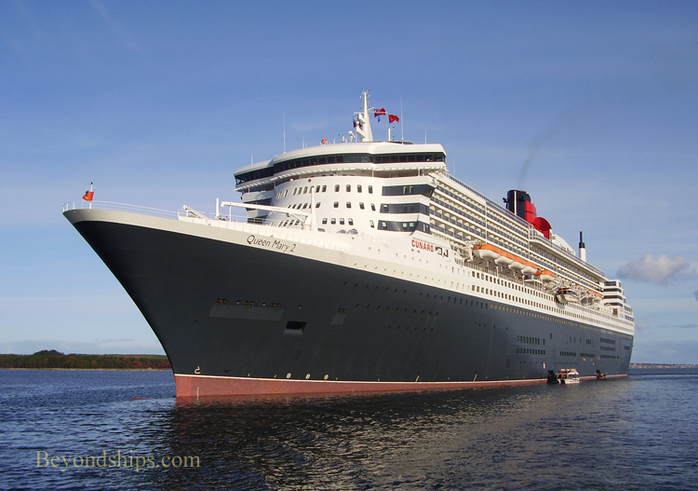 In 2012, there were 60 cruise ship calls in Sydney. Most ships berth at the Sydney Marine Terminal, which is just north of Sydney's commercial center. It is adjacent to Sydney's Historic North End. All of Sydney is within walking distance of the terminal. At the terminal there is a large modern building, the Joan Harriss Cruise Pavilion. Inside is a market area where locals sell Cape Breton merchandise, arts and crafts. It has a visitor center and there is also a theater where shows presenting aspects of traditional local culture are performed (e.g. fiddle playing, step dancing). 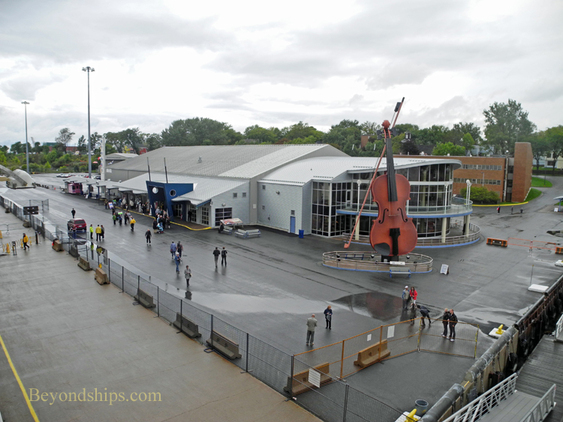 In front of the pavilion is the world's largest fiddle by Cyril Hearn. The subject was selected because of the importance of the fiddle in traditional Cape Breton culture. Some larger ships with deep drafts anchor in the harbor and tender passengers ashore. The tender pier is at the Marine Terminal. Right: Queen Mary 2 tendering off Sydney.